Steve Jobs liked to use the word ‘magical’ when introducing us to the iPad, and I happen to think he wasn’t just being a salesman. He was right. And this amazing little device might qualify as a pre-digital-age equivalent. In practiced hands, it really seems to be able to do ‘magical’ things. Here again is the picture I posted yesterday, in case you missed it. 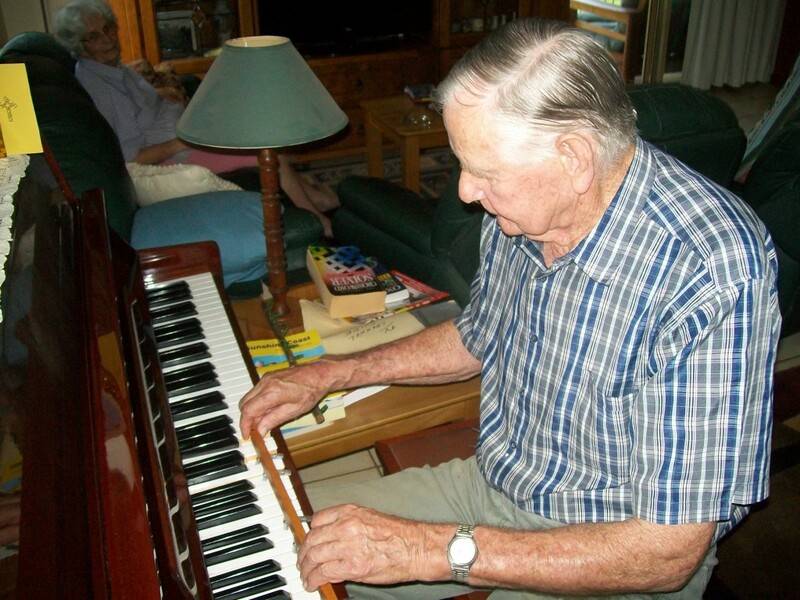 This is Laurie, going strong at 85 years old, demonstrating his piano paying thingy. His wife Pat is supervising. 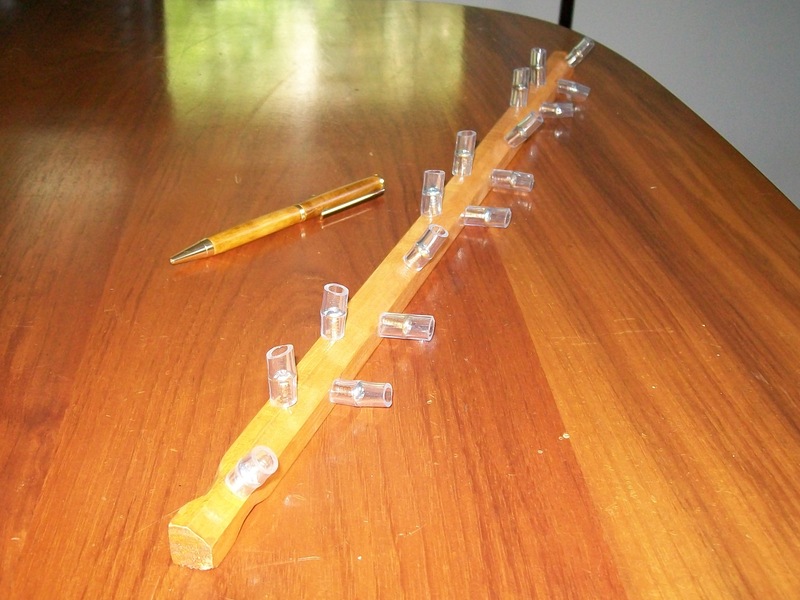 He gave one of these thingys to the Kraals, his Montville neighbours. I had a chat with him on Monday to get the story. 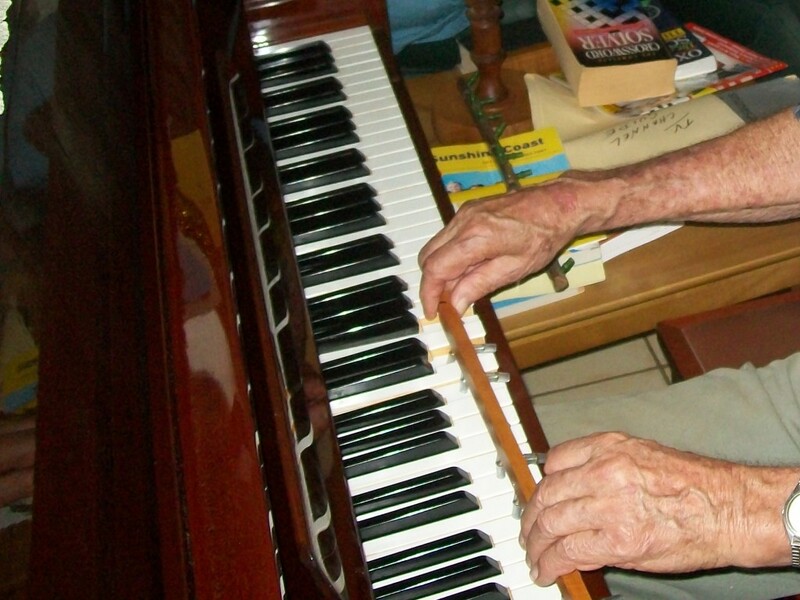 He fashioned a copy of the original device he first heard being used when he was 14 years old in 1940. An Australian sailor (Laurie doesn’t remember his name), home in Melbourne on leave was entertaining a boarding house full of civilians with one of these. It enables anyone who is capable of picking out a tune with one finger to sound like an accomplished piano player by filling in the chords. Laurie was so taken with it, he measured it up and made one of his own. Because there was no plastic available in 1940, he had to improvise the little finger studs with tubing from a motor car windscreen wiper vacuum tube! Someone very clever came up with the original. ~ by Garry on December 15, 2011. Great story and explanation of the ‘music stick’ Garry.